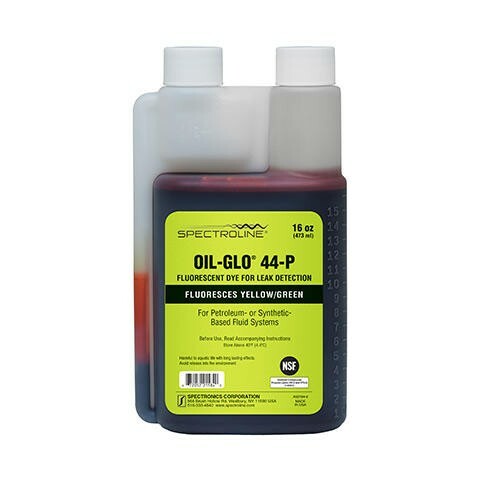 Find Leaks Fast in Fuel, Synthetic Lubricant, Petroleum, Water and Water/Glycol-Based Systems! NSF Certified — OIL-GLO® and WATER-GLO® fluorescent dyes are registered to meet food-grade processing requirements. OIL-GLO® dyes meet category codes HTX-2 and HX-2. WATER-GLO® dyes meet category codes G7, GX and HTX-2.